← What If I Pay $100 Extra On My Mortgage? A few days ago a tragic news story made international headlines. It was written in multiple languages and published by Time, The New York Times, Yahoo News, Fox News, and several other big name as well as small news publications. The story was about a mother and her 5 children dying in a motel fire in Benton Harbor, MI. That mother was my friend and two of her children were best friends with two of my children. Shortly before 2 AM on Saturday morning a fire started in the motel. The motel consists of 3 buildings and it was in an adjoining building that the fire started and smoke filled the three hotel buildings. Many residents reported that fire alarms and sprinklers did not go off. An investigation is underway and we will learn more in the coming weeks. Investigators believe the fire started from a faulty electrical appliance and was accidental. Yes, Kiarre Curtis did have a lot of kids, 6 total. Her baby survived. She had her first child at 16. Her mother died when she was a baby and she grew up in the foster care system. She always wanted a large family and to be a mom. She wanted to have a girl and was reluctant to keep trying but she really wanted a daughter. This is common in many families where people keep trying for a son or a daughter. She had decided and taken action to ensure that she would not have any more kids after her daughter was born. She had her daughter and was done. It is not reasonable to see living in a motel as dangerous. These were not normal hotel rooms as many people believed. These were larger rooms that had been converted into long term living apartments. The motel was described in articles as being a place where people get back on their feet. This motel has stood for decades. There was no reason to believe that it would have a higher inherit risk than any apartment complex. Invariably the comments went to saying there is no way she would get back on her feet with having 6 kids. This is far from true. Kiarre had a strong drive and was taking action every day to improve her situation. I’m positive that a year from now (most likely much sooner) they would have been in a better living situation. Here’s why they were staying there: Their home had burned down in a fire a little over a year ago. They lived in a normal house and lost everything. They had already been through the hell of a house fire and survived. They had lived with family for a while before moving into the motel. Kiarre didn’t want to split up her family and there are very few people who have the room to take in a family of 8. This motel apartment was the best option her family had at the moment. They were actively looking for a home to rent. Then the attacks came that because she has 6 kids she must be a welfare leach and a drug addict. First of all, both Kiarre and her husband worked. Neither of them are drug users. I don’t know what, if any assistance they received, but we all receive assistance of one kind or another. I receive the child tax credit, and an insane retirement savings tax deduction and credit, does that make me a “welfare leach?” Did you take the mortgage interest deduction on your taxes? How is that not welfare? It’s OK for a high income couple to receive a tax reduction of up to $15,000 per year (up to $1 million on a 4.5% mortgage at the 33% tax bracket) but if you receive a few hundred per month in housing assistance or food stamps you are a leach? Many comments judged her based on the last names of her children. The two older children have different last names than the 4 younger children. The original article made this an easier target because her name was different as well due to an error. (They had posted her name as Kierra Samuel from a list they were given. Someone was naming off the parents names, Samuel is the first name of her husband). How many people do you know with a blended family? My family is blended. There are 3 last names in this house as well. Does that make us less than human? Should we be ashamed of that? None of these commenters said anything about her and her husband having the same last name as 4 of the children, which presumably would be seen as a good thing to these judgmental people. Also, people working the welfare system would never get married. They would stay separated and each parent would claim 3 of the kids to maximize refundable tax credits and other government benefits. That is not who these people were. 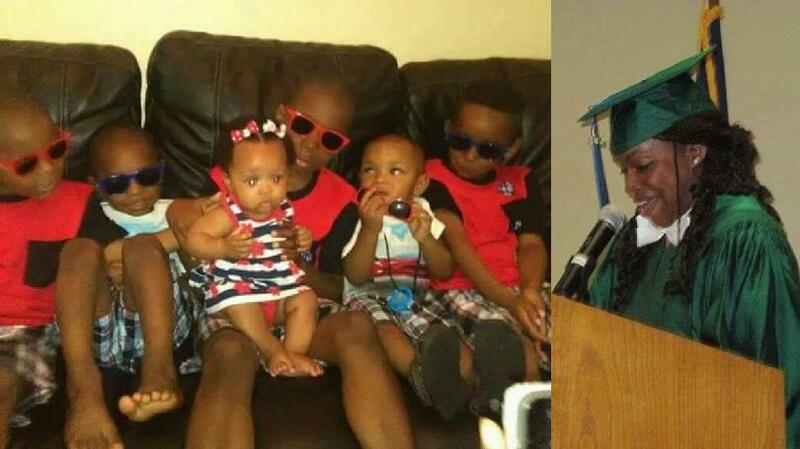 I can tell you that Kiarre and Samuel were raising their children to be excellent caring and hard working young men. When her two oldest boys stayed the night at our house they were extremely polite, they continually offered to do chores around the house and the oldest was worried about his younger brothers the whole time he was with us, because he is their big brother and has a caring heart. He had a giving spirit and routinely gave small toys, stickers, drawings, or books to other children. He embodied the spirit of “will give you the shirt off his back”. One of the younger brother’s excited about starting school had told his soon to be teacher that he was going to be “the best learner ever!” This young man and his brothers were not going to be problems for society. They were going to be the best of our society. They were not going to turn to a life of crime or perpetual welfare. And I know that if they read about such a tragic event their instincts would be to provide assistance and support, not to throw negativity and judgment. Now after reading this, put yourself in her husband’s shoes. He was only able to save one of his children. 5 kids that he was raising all died. His beautiful wife was gone too. All of his possessions destroyed. His life turned upside down. He has gone through an event so tragic that most of us can not comprehend. Now imagine reading an article and coming across this type of hate and judgment lobbied against him and his family. I’ve had to tell a mother that her daughter had died, it was the worst moment of both of our lives. He lost FIVE children and his wife at once, directly in front of him. And the best our society can do is muster a thousand comments on Yahoo News filled with hate , judgment, derision, second guesses, and complete and utter lies. What saddens me the most is that someday her daughter will want to know about what happened and she will have access to the internet and will do a simple Google search for her mother’s name. What she learns will be more about the nature of the worst humans than the truth about how her mother and brothers both lived and died. For anyone who wishes to help this family the boys’ school is accepting donations on behalf of the family. This was taken from their Facebook page. Countryside staff members spoke with the Curtis family this morning. The family has extended their gratitude for your thoughts and willingness to help. They authorized Countryside to take monetary donations for them, at this time. At this point, we are unaware of any other family authorized donation location. Please make checks out to Countryside Academy, and write “Curtis Family” in the memo. The campus has summer hours of 8am-2pm, M-F. Please know that 100% of all donations will be given directly to the family. Have you ever encountered “the internet hate machine?” Seriously in such a tragic situation how can someone’s thought process be along these lines? 4 Responses to "The Internet Hate Machine"
The internet can be a toxic waste dump. I try to only visit constructive websites. Thank you for sharing this. Kiarre and her sisters lived in my foster home during her teen years. Her mother and I were childhood friends from church. Her mother died of a heart condition, leaving her precious babies in the care of a grandmother who later died of cancer. She was the nurturing one out of the siblings I had in my home. I do believe every word you wrote she would not have raised young men that would’ve been a menace to society. THANK YOU again for shedding some LIGHT on an incredibly tragic situation. Wow, thanks for sharing John and sorry for the loss of close friends. One of the deepest conversations I had in my life happened by chance at lunch at the Taco Bell in Madison Heights, MI. I happened to be reading a magazine article on the Middle East (around the time that Israel’s Iron Dome missile defense system came into use) and a person at the table next to me commented on it. We had a great discussion on the bias of media coverage. While I had some examples that were personal, but business related, he said he was Palestinian, and he had relatives who were the targets of the Israeli weapons. I can’t imagine how frustrating it is when a divergent viewpoint of a personal event gets more coverage than the truth you hold personally. Our conversation at Taco Bell actually attracted about 5-10 listeners around us, who openly were following the conversation. When I noticed one of them, they seemed embarrassed, but were genuinely curious–they weren’t gawking, but had some kind of similar epiphany that I did, talking with my fellow diner. As much as I learned from the conversation itself, I was just as moved by the fact that a dozen total strangers, stopping randomly at a chain fast-food Mexican restaurant in a nondescript suburb, could have the curiosity and willingness to engage in a learning experience worthy of any academic setting. I hope time will show that the internet trolls don’t rule the world, but real people will step up to show themselves and help out. What a tragedy! Praying for Samuel and his daughter. As for those comments this happens all the time. Commenter anonimity plus missing facts = a breeding ground for thoughtlessness. Hopefully when she grows up she also will read the compassionate comments as well and know that this family catastrophe also grieves many others (like myself). 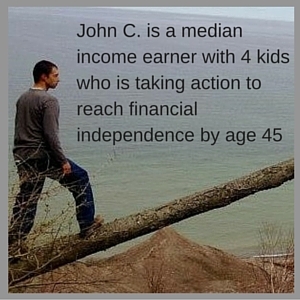 Thank you for sharing this with us, John C.